Life of Bangaloreans does not stop there. Continuous email checks, con calls, and client meetings. The place moves so fast that catching up with life becomes difficult sometimes. You need a break! Spending a weekend out of Bengaluru won’t hurt much. Bangalore is beautiful so is its vicinity of Bangalore. A lot of tranquility and beautiful greenery. Here is a list of 7 places from Bangalore which are great options be a perfect getaway during weekends. Do check them out! Nandi Hills is a known tourist destination in the South. There is a bit of ancient history attached to the place. You can see Tipu Sultan’s summer palace in Nandi Hills. Other outdoor activities that can be enjoyed at Nandi Hills are paragliding, cycling, and trekking. Best time to come here is from October to June and is a 60kms drive from Bangalore. There is a popular belief related to Hogenakkal Falls; it is said that taking bath in Hogenakkal Falls’ water can cure your various skin related diseases. It is also one of the oldest waterfalls’ present in the world. Seeing milky water flowing from a height is a sight not worth missing. Yelagiri Hills is an unspoiled heaven surrounding Bangalore. Get to know what peace is after spending some “me’ time in this hills. The picturesque scenic beauty is a sight to behold. Recently, the place has opened up new venues for adventure sports like trekking, rappelling, and paragliding. The place is a 158kms drive from Bangalore. On some weekends you can give a break to hilly places and explore some historic India. Mysore can be a very good option for digressing from usual getaways. You can plan a wonderful family trip to this historic place. A few places worth visiting are Brindavan Gardens, Mysore Palace, and Karanji Lake. There is no better treat for history buffs than Mysore. Nagarhole Wildlife sanctuary is a world heritage site declared by UNESCO; another name of the sanctuary is Rajiv Gandhi National Park. Nagarhole is sandwiched between Brahmagiri Hills and the Western Ghats, which makes this place even more beautiful. The best time to visit Nagarhole is from October to May. Do enjoy a wildlife safari and bird watching at Nagarhole. Coorg has gained a lot of popularity in recent years. This is because of the fact that this place is blanketed with heavenly beauty. Coorg is just 250km from Bangalore and will detox you from all the hustle-bustle that Bangalore is. People from Bangalore come here to get some peace and tranquility in life. 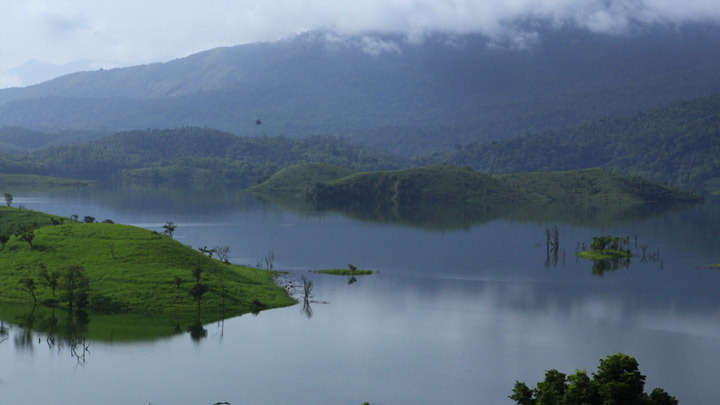 Wayanad is a part of Kerala and is 5 hours drive from Bangalore. When you go to Wayanad you don’t go there to just spend a weekend but you go there to do some trekking. It is an adventure to trek in the trail that is covered with green forest, waterfall, wildlife and natural habitat. Wayanad was one of the hidden jewels of Kerala but recently you will find a lot of commercialization happening at the place. Apart from natural trekking, you can indulge in Kayaking, raft building, high rope traversing and playing paintball.